Fishtail Air and Goma Air coordinate to boost the Adventure Tourism of Nepal – Summit Helicopters Pvt. Ltd. The coordination between Goma Air, which is operating the domestic flight services since three years in western region of Nepal and Fishtail Air, a leading company operating Helicopter Services will create an enormous possibilities to boost the adventure tourism in Nepal. Both companies led by Mr. Bikash JB Rana will support and complement each other to make impact on Aerial Routes of the Nepalese Sky. 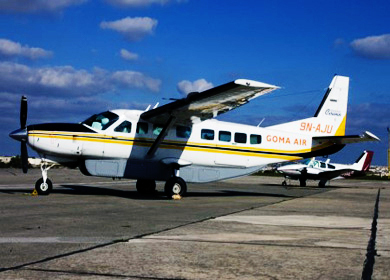 At present Goma Air has two single engine caravan aircrafts and immediately the airline is adding two multi engine aircrafts to its fleet.